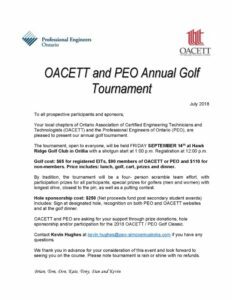 Every year, the PEO Simcoe-Muskoka Chapter and the OACETT Georgian Bay Chapter team up to host an annual golf tournament. The annual tournament is typically held in September and is open to everyone, including members and non-members of both associations. The tournament includes golf & cart rental, lunch, dinner and prizes. Visit our Events page to sign-up now! 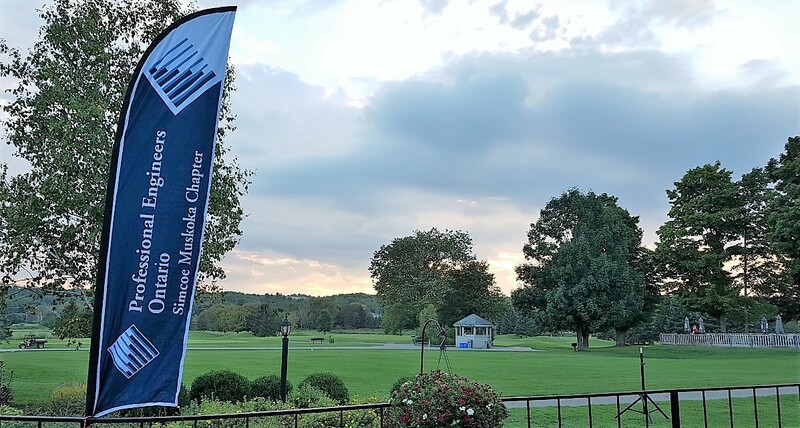 At $250, Hole-Sponsor’s receive a sign at a designated tee-off block for the duration of the tournament, announcement during the dinner and recognition on both the PEO Simcoe-Muskoka and OACETT Georgian Bay chapter websites. Proceeds raised from hole sponsorships directly fund the scholarships awarded by both associations. Use the registration form to sponsor a hole today! Thank you to Tacoma Engineers Inc. for supporting Engineering Students in Simcoe-Muskoka through your Hole Sponsorship in 2018. Thank you to AECOM for supporting Engineering Students in Simcoe-Muskoka through your Hole Sponsorship in 2018. Thank you to J & I Projects for supporting Engineering Students in Simcoe-Muskoka through your Hole Sponsorship in 2018. Thank you to Gerrits Engineering Ltd. for supporting Engineering Students in Simcoe-Muskoka through your Hole Sponsorship in 2018. Prizes for the tournament are always appreciated. Email the Event Coordinator to get more information about donating prizes to this event. Save the date – September 13th, 2019. Registration info coming soon.